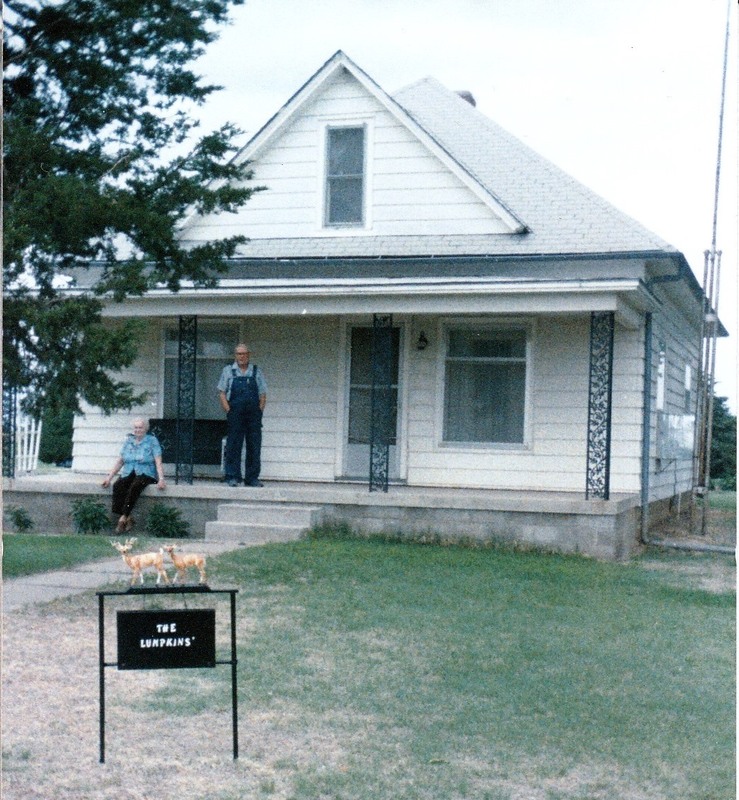 I remember visiting my great-grandparents at their farmhouse in Plainville, Kansas every summer growing up. The white framed home was situated off a dusty country road (rural route 1) and surrounded by open farmland. All rooms opened onto a large great hall where my great-grandparents held court with their rocking chairs, like thrones, positioned beside each other facing the open length of the space. They were the center of attention and fawned over their courtiers. The home was always the epicenter of family functions and bursting with people - aunts, uncles, and cousins. While the kids would climb trees and run around outside, the adults would cook large meals, catch up on family gossip, and play cards or watch baseball. It was a thriving hive of activity. For modern amusements, there was a television set (one of those enormous wooden boxed contraptions that was a piece of furniture unto itself) nestled against the wall and a pipe organ at the far end by the porch door. Although my great-grandparents sold the property two decades ago, the home remains synonymous with my family history. After all, the house was the backdrop for several generations of my ancestors' lives. In a brief timeline sketch of his life, my great-grandfather Marion Lumpkins characteristically noted with simple brevity the year his young family moved into the home: "19-47 we moved to Plainville." 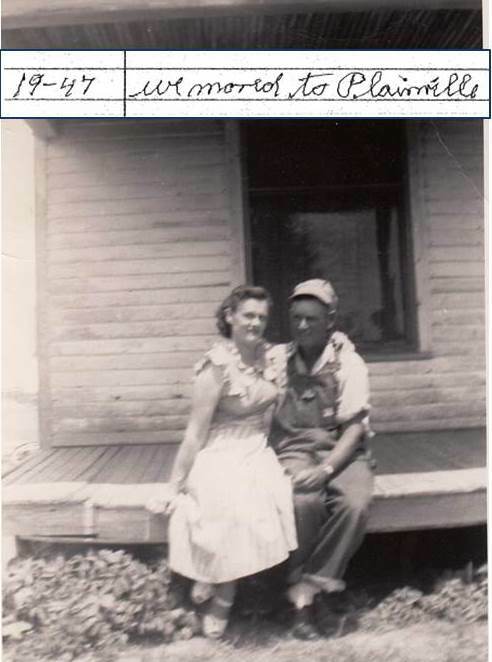 Great-grandparents: Nevella (Benedick) and Marion Lumpkins. Marion's eldest daughter, my grandmother Marilyn, was just ten years old. 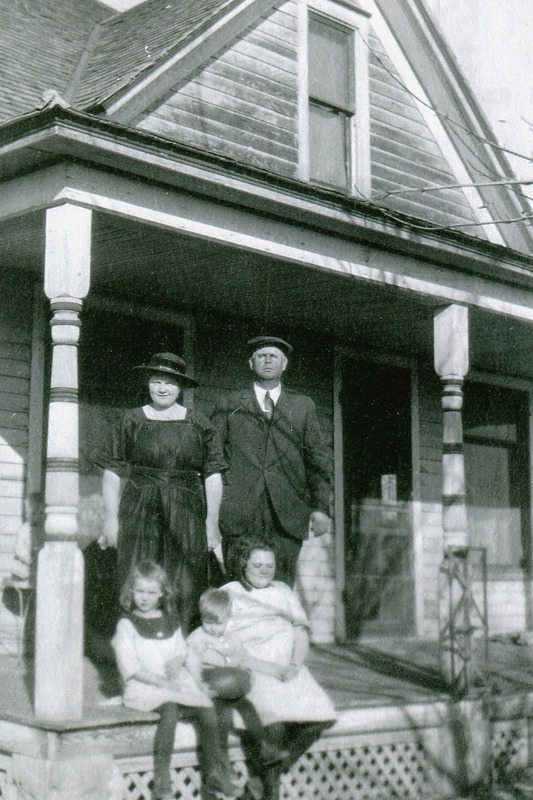 In a March 2014 oral history interview, she explained that the property was rooted in family history: "We moved to Plainville to the former home of my great-grandparents Michael and Mary Jane Bair." I had no idea that her great-grandparents (my third great-grandparents) were the home's original occupants. 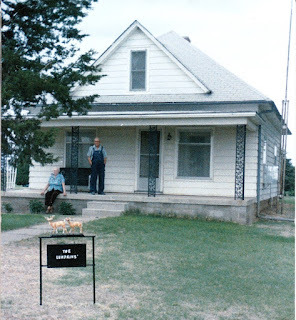 She helped me realize that, at one point or another, the house was home to four generations of my direct ancestors. 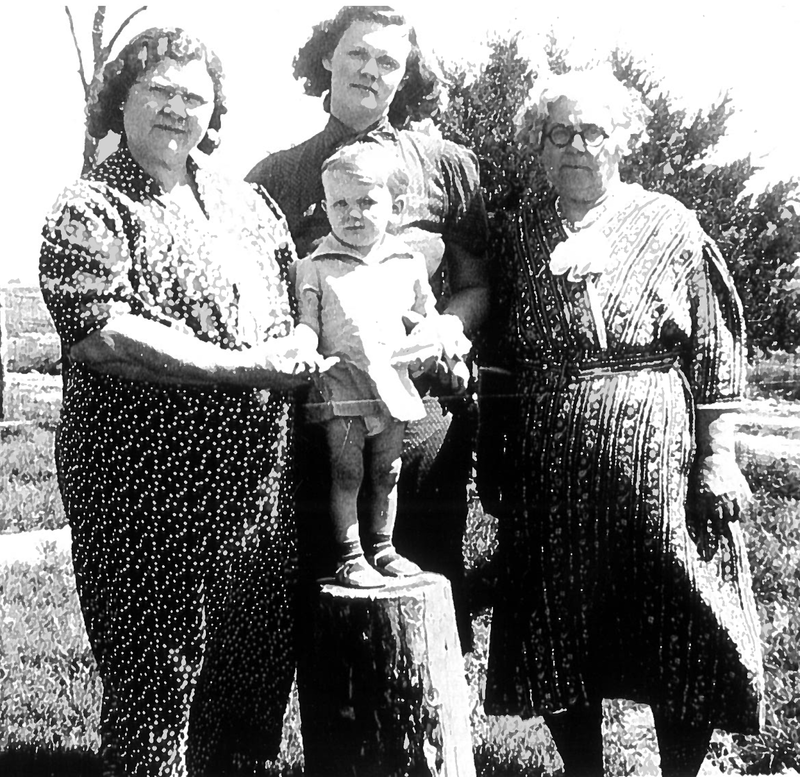 My grandmother's photo collection included black and white gems that illustrated the property in its early years. Michael Bair and his sons on the porch. 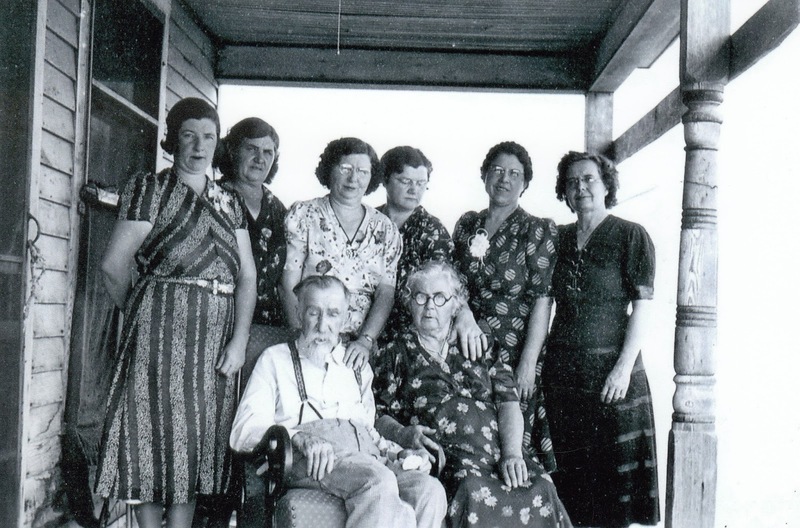 Michael and Mary Jane Bair with daughters. her daughter, my great-grandmother Nevella, lower left. Prior to becoming her home in 1947, my grandmother Marilyn had only vague memories of her Grandma Mary Jane Bair in the house. "She was an invalid. I don't remember when she could be up and about. I can remember when she would be lying in her bed there in Plainville, and they had her in a hospital bed but they weren't metal. It was a wooden bed and it was adjustable. They didn't have the modern conveniences of the metal beds. She had a dinner bell, and she could ring it in her room when she needed attention. I remember her being bedfast in there in that little bedroom...on that hospital bed that was painted white and made out of wood." Mary Jane lived in the home until she passed away in 1945. She was the first of four generations of my maternal ancestors who called the house home for the better part of the 20th century. In the early 1990's, my great-grandparents sold the property and moved to an assisted living facility. 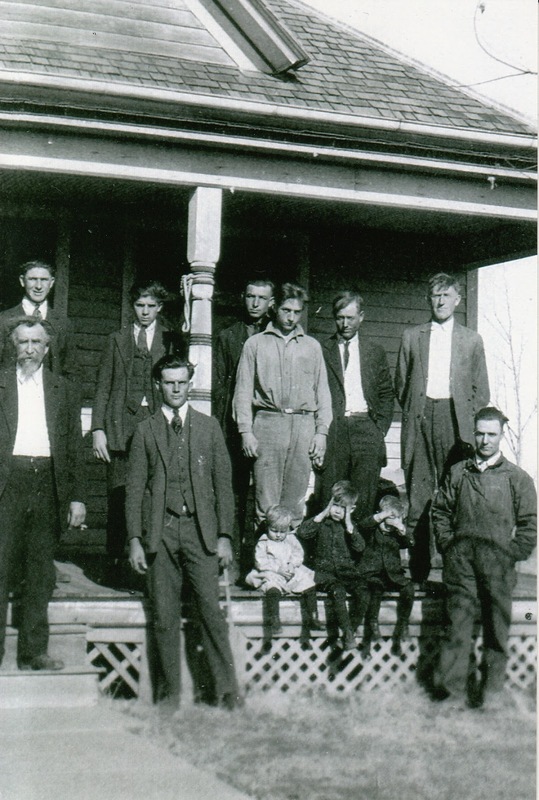 For the first time in generations, the home wasn't owned by family. The new owners eventually made structural updates and painted the house brown. This past Memorial Day, I drove by the home to see whether I would recognize it. Sure enough, the root of the structure was the same despite some cosmetic alterations. But each new family has always made the home their own. My grandmother remembered how her parents had torn down a partition between the dining and living rooms to create their beloved great hall. They also replaced the wooden porch and columns with a sturdier concrete slab and wrought iron lattice posts. That slab and those metal posts remain the house's street-facing view - a friendly reminder that this home is where my family history is still today. I completely understand these sentiments - I grew up in a house built my GGG-grandparents in the first half of the 19th century, where generations of my ancestors lived and died. No matter where I live now, it will always be 'home'. 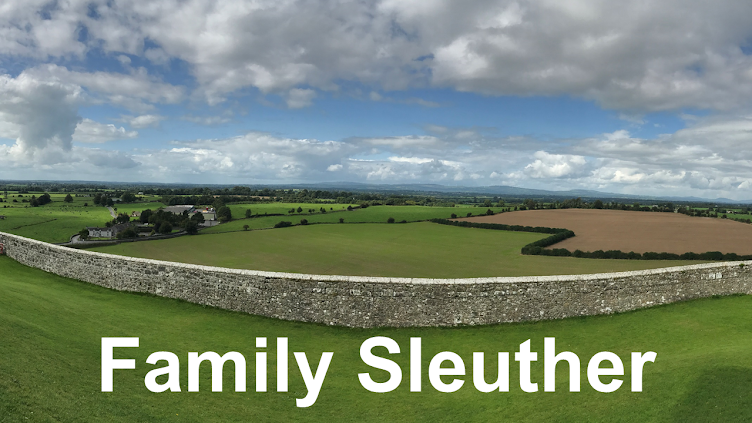 It seems a marvel in this day and age when people are so much more transient to think about generations of family being rooted in one place for so long. Thanks for your comment, Dara. Michael, I love your story. Every house is haunted, I believe in a good way, with the energies of the people who lived there. How nice that you have documented it. That's a great way of putting it, Janice. I agree with you 100%! Thank you for your comment.